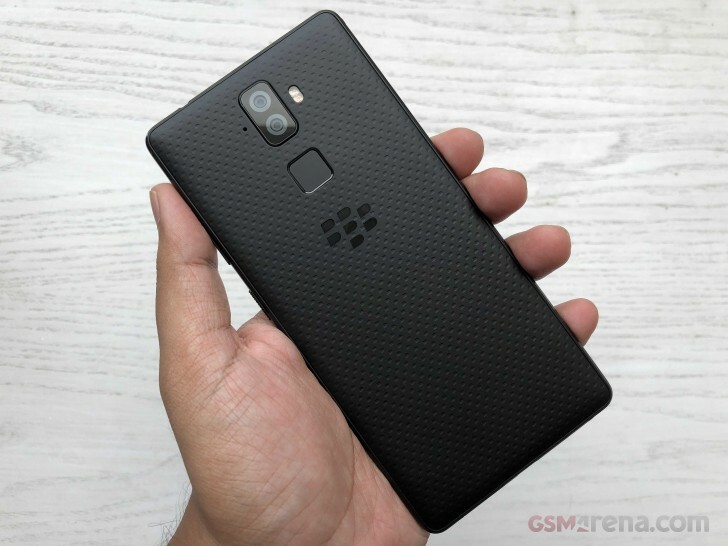 BlackBerry and its Indian manufacturing partner Optiemus announced together the Evolve series that includes two smartphones - BlackBerry Evolve and BlackBerry Evolve X. The two phones share tall screens, dual cameras and massive 4,000 mAh batteries that power Android Oreo. Like the BlackBerry Key2, the Evolve X has a Snapdragon 660 chipset with octa-core CPU, clocked at 2.2 GHz. The GPU is Adreno 512, while the RAM is 6 GB. 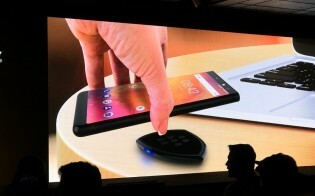 Storage on board is 64 GB, but there is microSD for up to 256 GB more. The Evolve X arrives with a 5.99” IPS LCD of Full HD+ resolution and 18:9 ratio, making it the first BlackBerry Android in India without QWERTY keyboard since the revival of the brand. There is no room for a fingerprint scanner on the bottom, so the sensor made its way on the back. The rear panel also houses a horizontal dual camera setup - 12 MP + 13 MP sensors, coupled by a dual-tone LED flash. There is another flash on the front for a company to the 16 MP camera for video calls and selfies. The Evolve X’ battery is charged through a USB-C port and is compatible with Quick Charge 3.0 and USB Power Delivery according to the company. The phone is powered by Android Oreo 8.1 and it comes with the company's in-house DTEK security platform. 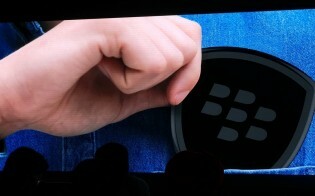 Arriving only in Black, the flagship will be priced at INR34,990 or around $510/€430. It will be available from the end of August at Amazon India and will have cashback offers from Reliance Jio and ICICI Bank. The more affordable member of the duo, BlackBerry Evolve misses on the wireless charging and the 6 GB RAM. It has a more modest Snapdragon 450 chipset, but that's still built on an efficient 14nm process, so it should offer spectacular battery life. Its octa-core CPU is clocked at 1.8 GHz and RAM is 4GB. The 64GB internal storage can be expanded via the microSD slot. The Evolve also has a dual camera like its mightier sibling, but it is 13 MP + 13 MP, both with Samsung 3L8 sensors. Interestingly enough, BlackBerry says it supports HDR but didn’t state the same for the Evolve X, suggesting it might have implemented a better setup in the more affordable device. The selfie snapper stays 16 MP with LED flash on the side. Quick charging of any kind isn't present on the vanilla Evolve. Still offered only in Black, the price tag is INR24,990 or around $365/€315, again with some deals from carriers and banks. Availability for this one begins in the middle of September 2018 as an Amazon Exclusive.